We’ve made it a habit to place Scripture throughout our house. If you stop by our home, you’ll find it on throw blankets, wall art, and more. It’s a great way to memorize Scripture without even trying. These Scripture prints are a great way to keep God’s Word front and center in your home. Simply print, trim, and frame them. You could even designate one frame for Scripture prints and swap the verse out from time to time! 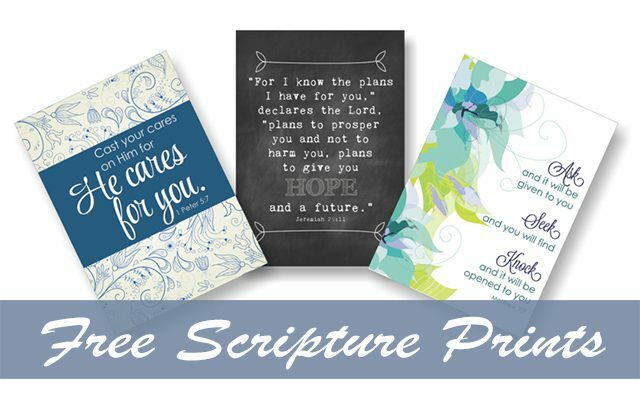 Click here to download your FREE Scripture prints. Previous PostPlan the Upcoming Homeschool Year with These FREE Printables!